You might encounter some new words while you go to watch a movie. 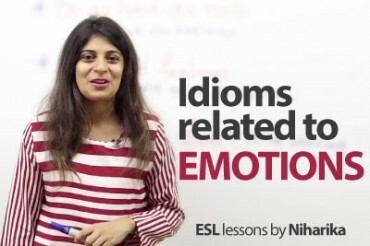 In this lesson you will learn some of those useful words and expressions when you want to talk about you experience – Going to a movie . Horror – this genre of films signifies horror and or a terrible feeling. They are unsettling movies designed to cause dread, fear, alarm or panic. Fantasy – this genre of films are based on myth, wonder, extraordinary subjects. Animated – these types of films are made with sequential drawings. It is an illustrated visual art that mostly intends to show humour. Comedy – a comedy movie is light hearted and the main emphasis is on humour. Ticket Counter – is the place outside of the cinema where the tickets are being sold. Usually these days people book and pay for tickets online. Queue – a line in which people stand awaiting their turn to buy tickets for the movie from the ticket counter. Popcorn – the most popular snack to eat when people are watching movies. Snack Counter – where snacks and drinks can be bought from which is inside the cinema. Entry gate – this is at the entrance of the gate of the hall where the ticket is checked on whether one is entering the right hall for the movie for the which the ticket is bought. Usher – a person who helps you in finding your numbered seat. Trailer – a short filmed advertisement for a forthcoming movie. Interval – is a short recess or break for the audience to buy more snacks or visit the washrooms. Next Next post: How to express possibility/probability in English? 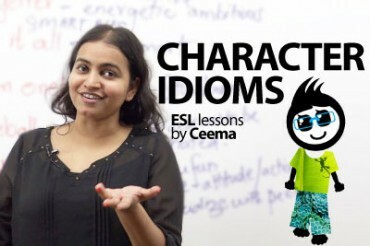 12 idioms to describe the character of a person. 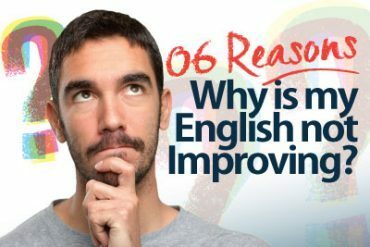 6 reasons- Why is my English not improving? Thanks for interesting lesson.I don’t think that you are-speaking too fast, the speed is perfect .